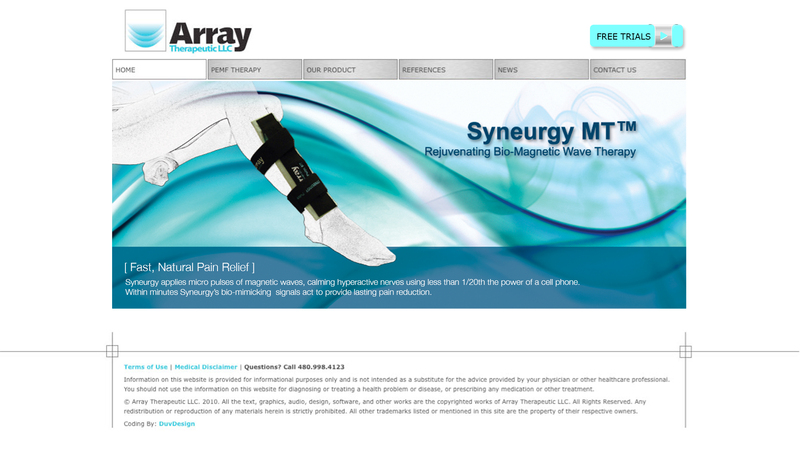 Array Therapeutic approached [DUV]DESIGN to produce images for Array’s new, more consumer-driven website. 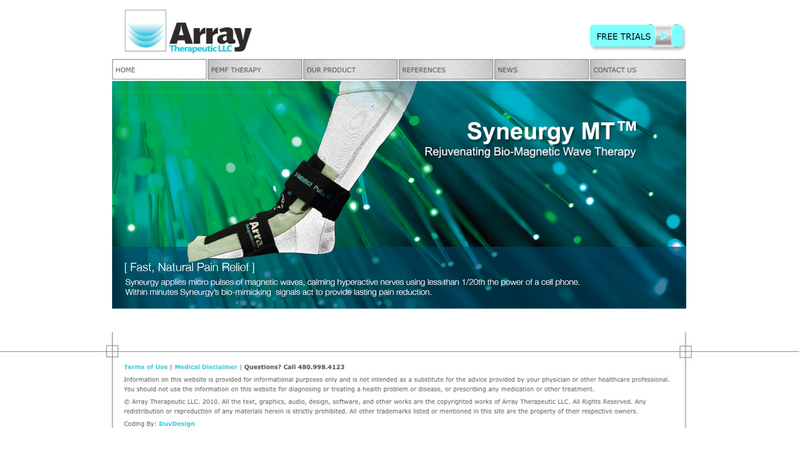 The goal was to improve potential customers’ understanding of the advanced technology and science of Array’s products. 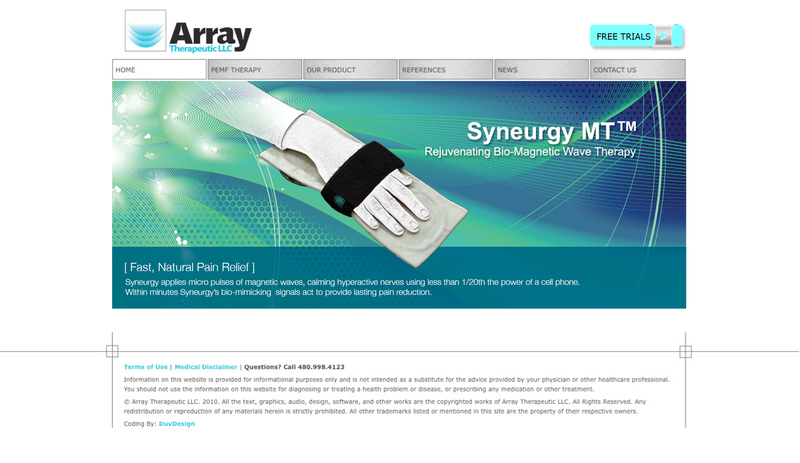 The requirements for the images were that they had to depict the idea that Array’s new device, Syneurgy MT, generates pulsed, magnetic waves to stimulate or “exercise” electrically active cells to promote rejuvenation. 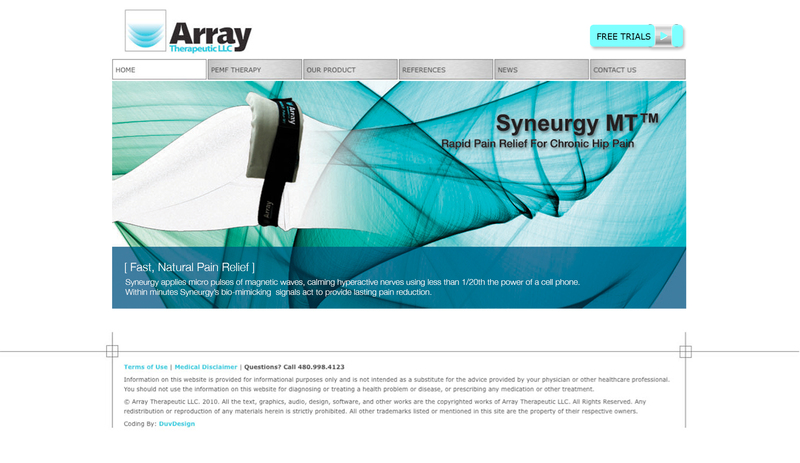 The images also had to show accurate product positioning.